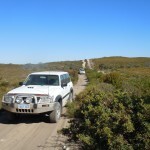 The Wilbinga Sand Tracks 4wd Trip trip is based on the Wilbinga to Seabird trip noted in the 4wd Days out of Perth book. As a group, we’d decided to start late so that we could enjoy the facilities at the Willow Brook Farm Camp Ground. This meant that we were a little short of time to complete the track all the way to Seabird. At a later date, we plan on continuing the trip from Moore River all the way to Ledge Point. But that’s for another day. 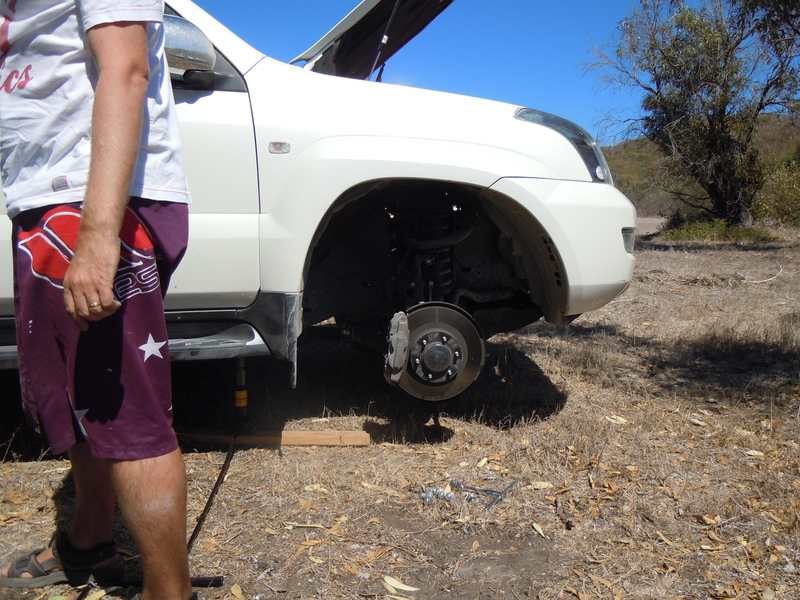 Prior to making the trip I’d called the Gingin ranger to ensure that the tracks were open. He’d said that they were but asked us to ensure that we did not disrupt any private property. He’d said that there had been a number of 4w drivers who’d cut fences, opened gates and let cattle out of farms. Please ensure that you do not cross fence lines or gates! Also ensure that you stick to already established tracks. Just because you have a 4wd, doesn’t mean you have the right to create tracks. 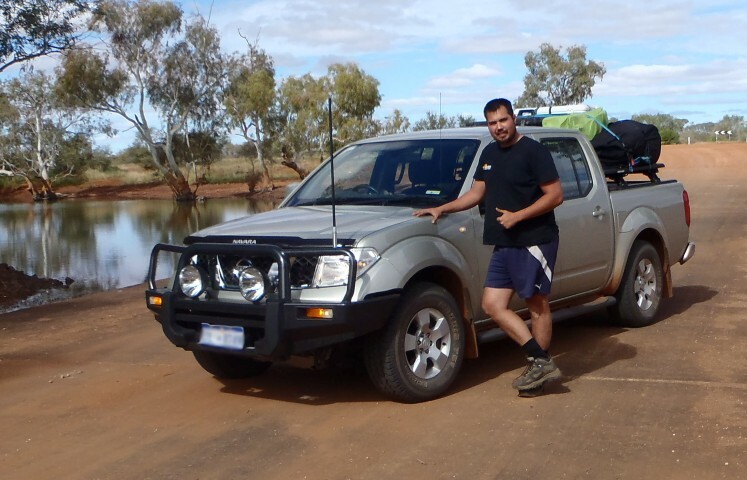 On Saturday afternoon, the Prado, the Navara and us in the Challenger headed up towards Gingin to spend the night camping at the Willow Brook Farm Campground. Arriving at approximately 3:30, we set up our tent alongside the Prado and Navara who’d arrived about an hour earlier. 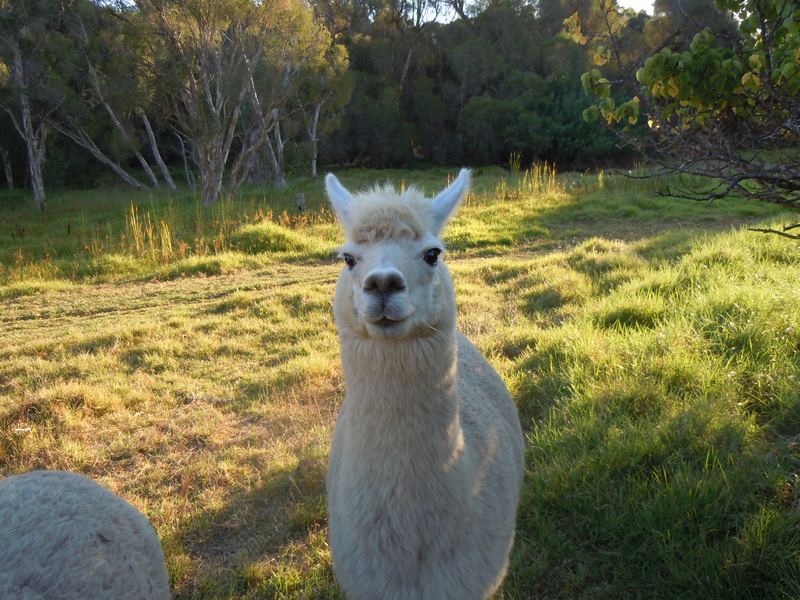 Willow Brook Farm Caravan Park is a nice little farm-stay providing all the facilities you’d expect with some additional surprises such as sheep feeding, alpacas and Devonshire morning tea on Sunday. After enjoying the Devonshire Tea and waiting for the Patrol to arrive, we headed off from Willow Brook Farm at about 10:30. A little later than we probably should have. Heading west from Willow Brook to meet up with the Brand Highway again, we headed south towards the start point. I’d spotted it on the Saturday as we zipped past and thought it looked like it’d been blocked off. On arriving at the road entry it became apparent that it hadn’t been blocked, but had deliberately been dug up making getting off the bitumen a little interesting. After successfully negotiating the first obstable, we drove west along a compact, but corrugated limestone road for about 7.5kms. When the track started to change into softer sand interspersed with hard limestone outcrops, we decided it was time to let our tyres down. It wasn’t long after we aired-down that we came across a clearing. We’d already given up on following the trip notes as there were so many sand tracks through the scrub that we’d become confused as to which one was which. Instead we decided to use the GPS waypoints that I’d already entered into my GPS app on my iPhone 4. While paused in the clearing to discuss which way to go, another two 4w drives approached from behind. Leading these two was a dual cab ute (Hi-Lux perhaps) and a Landcruiser was following. As we were still discussing what to do, we waved them through and they took the track over the steep hill, which looked quite tame from the bottom. We’d already made the decision to follow them over the top, when suddenly we noticed that the dual cab was backing down. He came all the way to the bottom, and then tried again, and was successful. The Landcruiser then had a go at it. We were becoming more and more doubtful about our ability to drive the hill when the Landcruiser took 5 or 6 attempts at getting over the top. Succumbing to the challenge, and peer pressure, I was the first of our group to attempt it. And the Challenger took us up and over with no problems at all! Others in our group were not so lucky… Or perhaps skillful? JOKE! Second of our group was the Prado. He managed to get stuck in the same place as the Landcruiser and the Dual Cab. After he’d backed down I inspected the track on foot and found a number of large limestone bounders that weren’t helping, and one in particular that seemed to be causing the problems. It was much to big and solidly buried to move. On the second attempt, the Prado made it over. Patrol followed without any problems and then the Navara had one failed attempt before getting over the top. 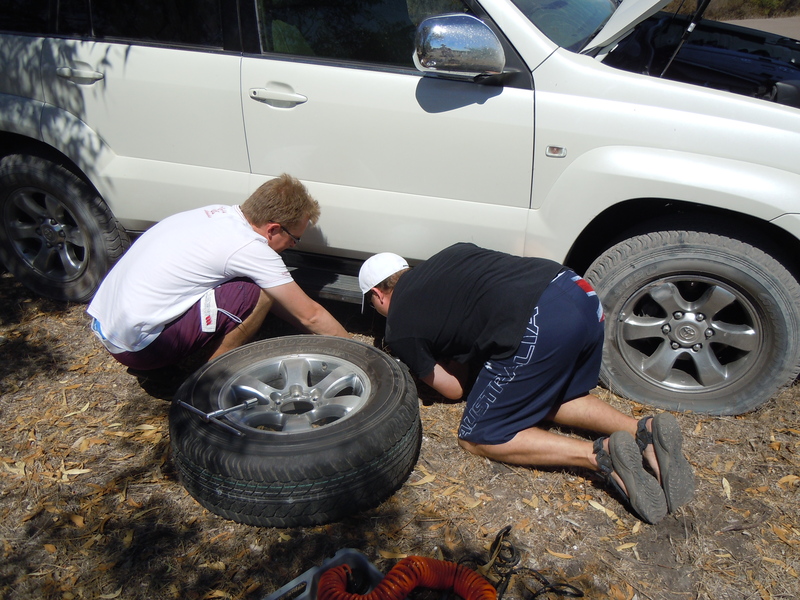 The tyre change was performed despite the attempts of the millions of flies to disrupt proceedings. And we hadn’t even reached the coast yet! One of the common past-times in the Wilbinga area is dirt biking. During our trip we encountered a number of them. They were happy to pass us by and we made sure we left enough room for them to get past safely. Although we didn’t have one, and we had no close calls, I’d strongly recommend that a couple of the convoy have sand flags at least 2m high. We’ll definately do that on the next trip in the area. 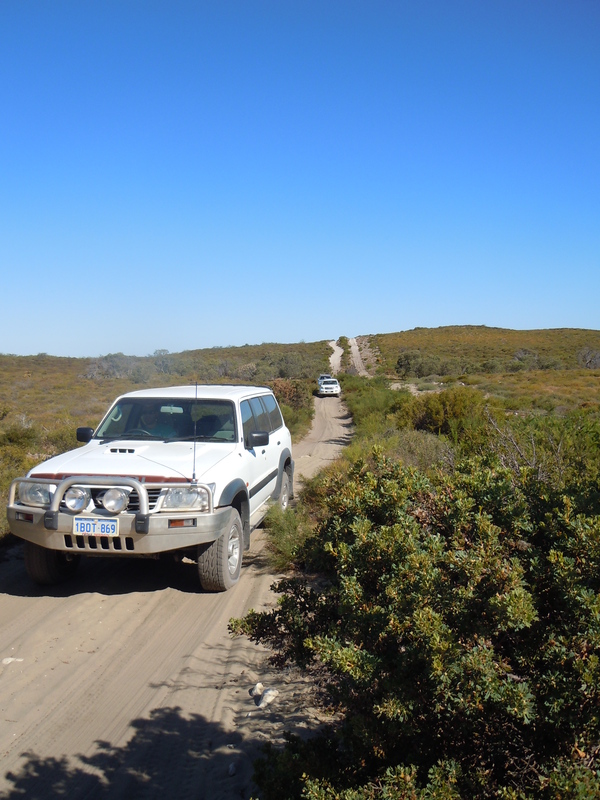 As we continued driving, the tracks became more overgrown and continued to alternate between reasonably hard sand and rocky limestone outcrops. 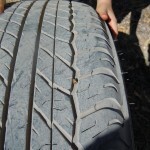 With tyres deflated, we needed to take care on the rocky sections to make sure we didn’t stake tyres or dent rims. We found a couple more hill climbs, most of which were deeply rutted and quick tricky to navigate. None of us had any problems but there was evidence that others had not been as fortunate. Eventually, we came across an area that was quite attractive and decided to stop for lunch. 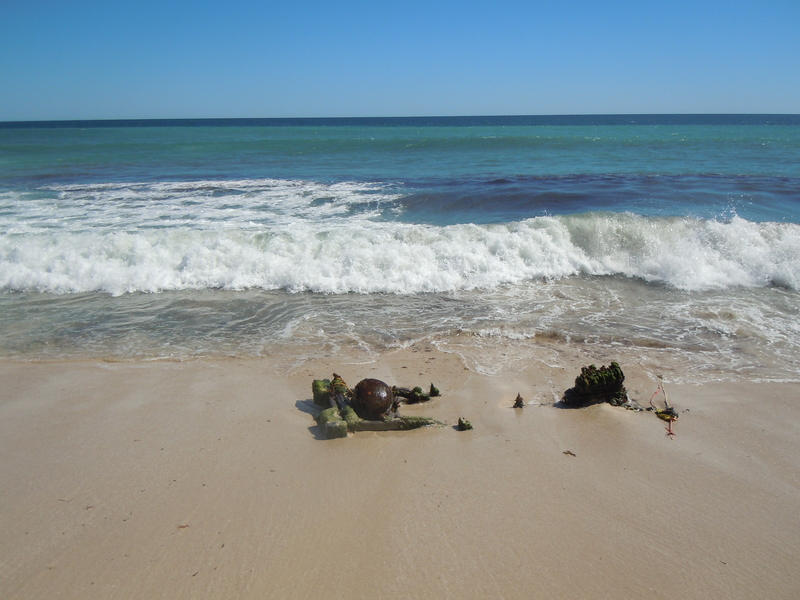 It was nowhere near Moore River, which is where we’d intended to stop, but it was nice none-the-less. After the Navara and the Prado had set up their ARB awnings, we all made ourselves comfortable for lunch. 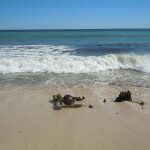 Taking a short walk along the beach, we discovered a vehicle that hadn’t made it some time in the past. A lesson learned for everyone. Continuing along through the maze of sand tracks, we ignored the trip notes and following only GPS waypoints. 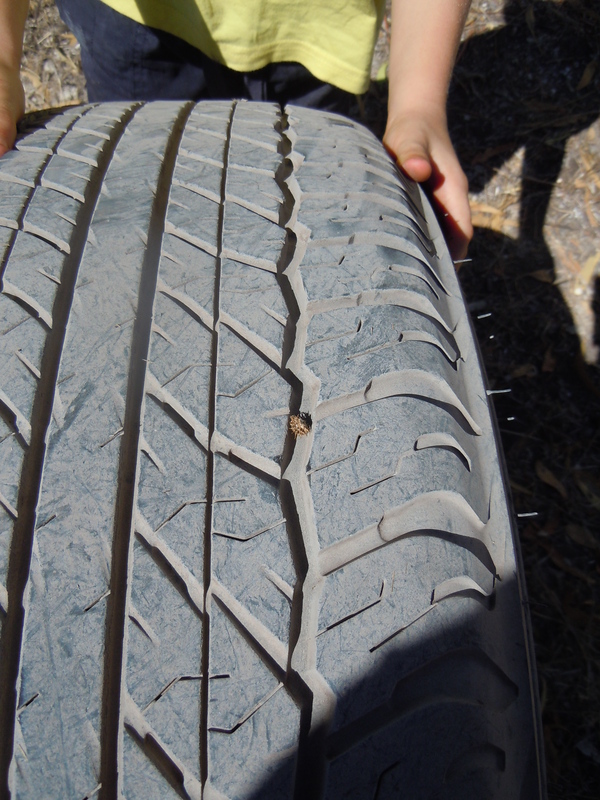 Through dense and prickly bush either side of the track, a couple of hills, any number of rocky outcrops, we followed the well beaten track along fenclines and eventually found the trip-noted area to re-inflate our tyres. Spare tyres and tyre changing equipment. The videos below show some of the sand hills around the place. But there are many, many more than just these! I love driving through Wilbinga, such a great place to spend the day. 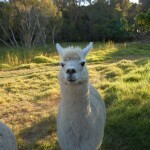 Hi all, just wanting to know if you can ride bikes at wilbinga?